Shinto-Cetra wrote: So I now work at a fabric store, and look what my newest sewing project was...And yes new armor is incoming. For my next eventual Ghaleon video, might anyone find it entertaining if I reviewed Lunar games/manga AS GHALEON? It would be very meta for sure. I remember someone several years ago reviewed the punching puppets as Ghaleon. My memory is totally hazy but... was that you? Thanks Kizyr! I've never done a review of the punching puppet as Ghaleon though. My first public appearance as Ghaleon is the first vid in this thread, early 2015. And thanks for the input, that Lunar review will be done eventually, it'll probably take more planning than the others, so I don't know when. Neat costume! I'd love to see someone rock Ghaleon's purple outfit when he was first introduced. "Itttttttts.......No bother"
Kizyr, I actually just looked up "Ghaleon puppet review" the other day, also did not find it. Next videoes are still being planned out btw. You don't have to play his instrument ^^ Just walk around without it. I'm sure Ghaleon doesn't walk around with it stuck to his clothes XD. Or maybe just have it on your back? Strapped? Also Shugo, I think I responded to you in private, but I plan to do the pleasure garden/lute cosplay when it gets warmer next year. Overheating is never fun. That's just awesome, Shinto-Cetra. How long did it take you to make that costume? Tierz wrote: That's just awesome, Shinto-Cetra. How long did it take you to make that costume? Thanks! The first version (SSSC/SSH final boss form) initially took about half a year, but has been heavily revised sporadically since the first video/photos in 2015. To make a console analogy, the current version is, shall we say the "Althena Power Convertor Slimline" ahaha. The black spike armor/black tassle dress seen in every version of Lunar 1 maybe 2/3 of a year, but hasn't seen any serious revision since. So I finished the casual/lute/vane gardens version of Ghaleon...It's nice to not overheat in cosplay for once. Full photo set can be found on DA/Instagram/FB . I appreciate and respect the amount of effort you have put into this, and perhaps I'm being too picky, but I just don't think this captures Ghaleon's purple outfit in SSSC. This one looks way too pink and shiny for it to match. It's a nice cosplay in itself, but as for Ghaleon I think it misses the mark. ShugoHanasaki wrote: I appreciate and respect the amount of effort you have put into this, and perhaps I'm being too picky, but I just don't think this captures Ghaleon's purple outfit in SSSC. This one looks way too pink and shiny for it to match. 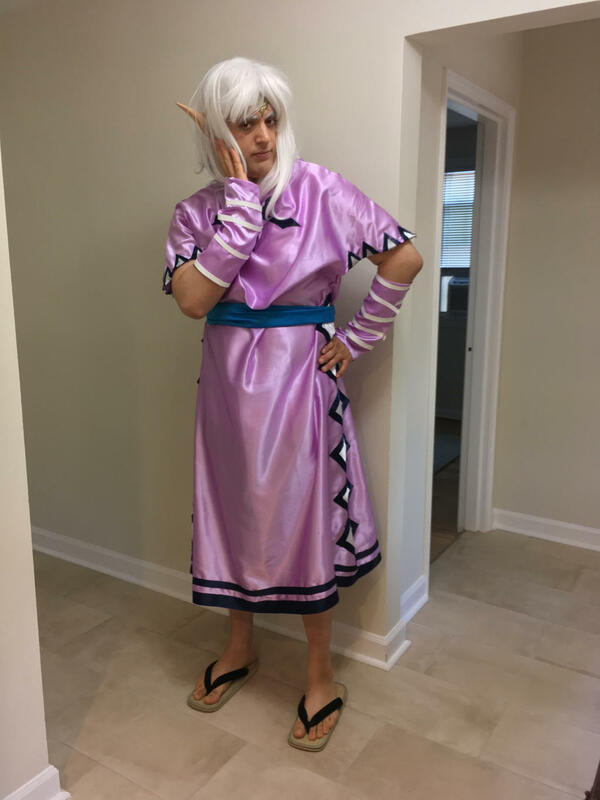 It's a nice cosplay in itself, but as for Ghaleon I think it misses the mark. Yes you are being too picky by your own admission, especially since this was was based off the concept art attached (I know I posted this image in your Telegram btw). Plus how shiny a fabric is cannot be determined from a piece of 2D animation footage; it's open to interpretation. Look in general I appreciate constructive criticism (e.g. -not that either of these apply- but hypothetically, "the seams are visible" "the triangles are only one color when they should be two"), but this is just nitpicking. You kind of chewed up my opinion lol. Just one opinion of many. Didn't say you had to agree with my opinion. It's how I perceive your outfit. That's all. Nothing more. I just don't think it holds up to the original imo. What does Ghaleon tennis trash talk sound like? 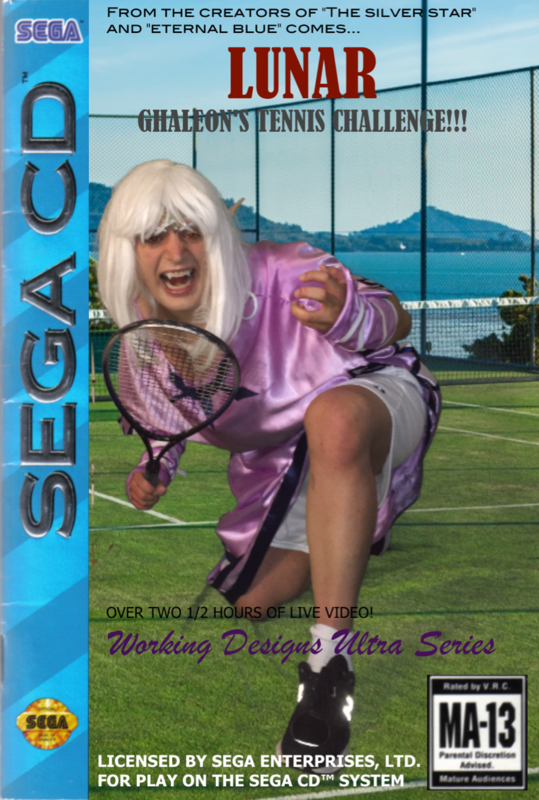 "It looks like the ball is in my court, dear Quark."